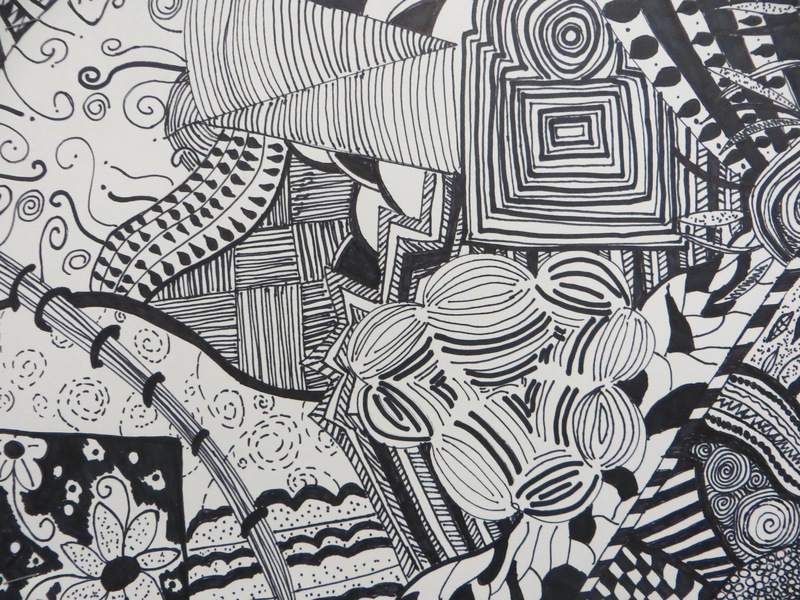 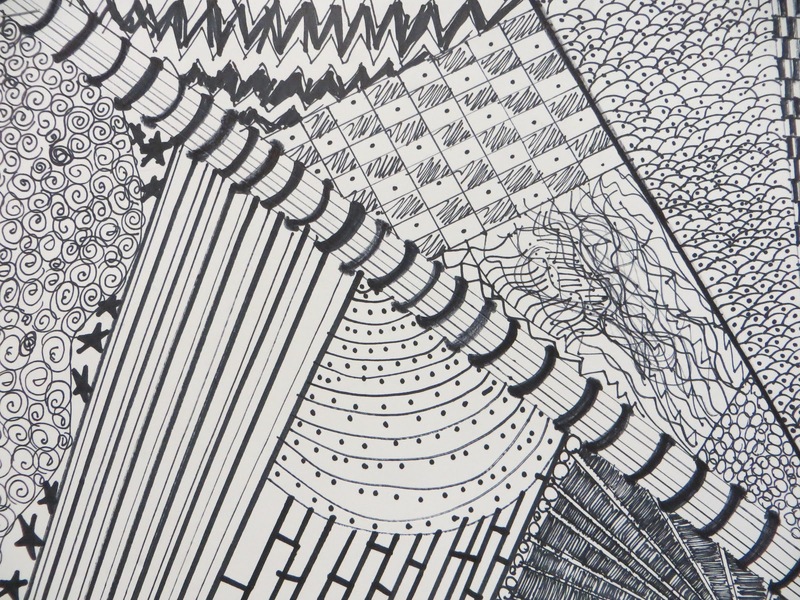 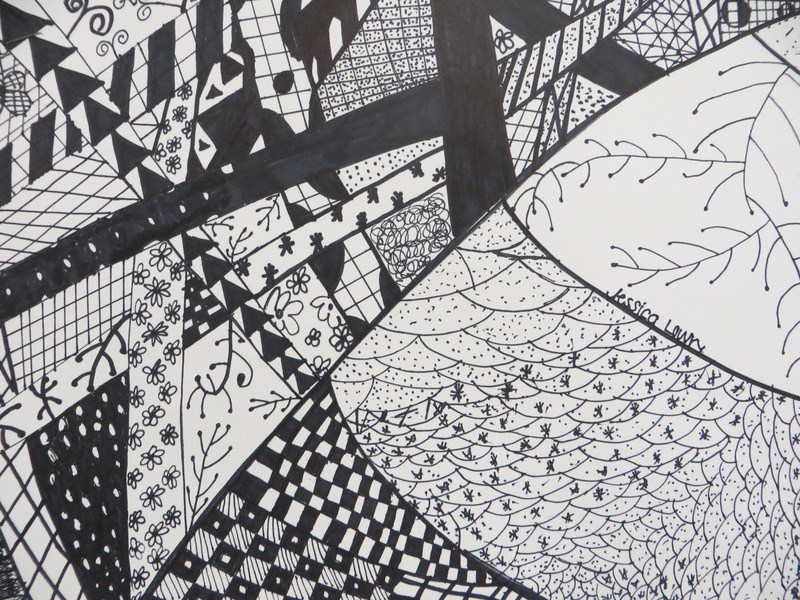 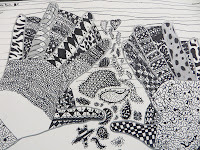 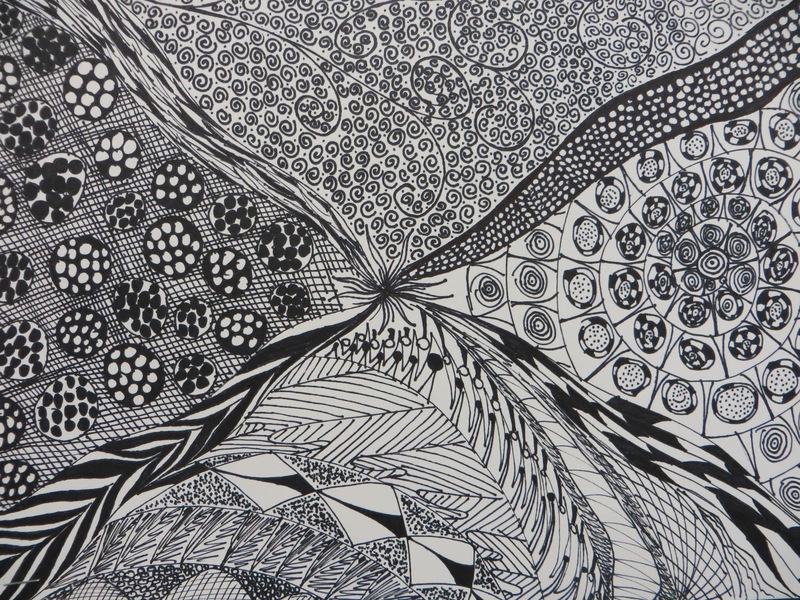 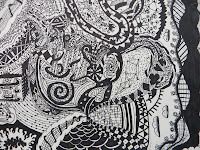 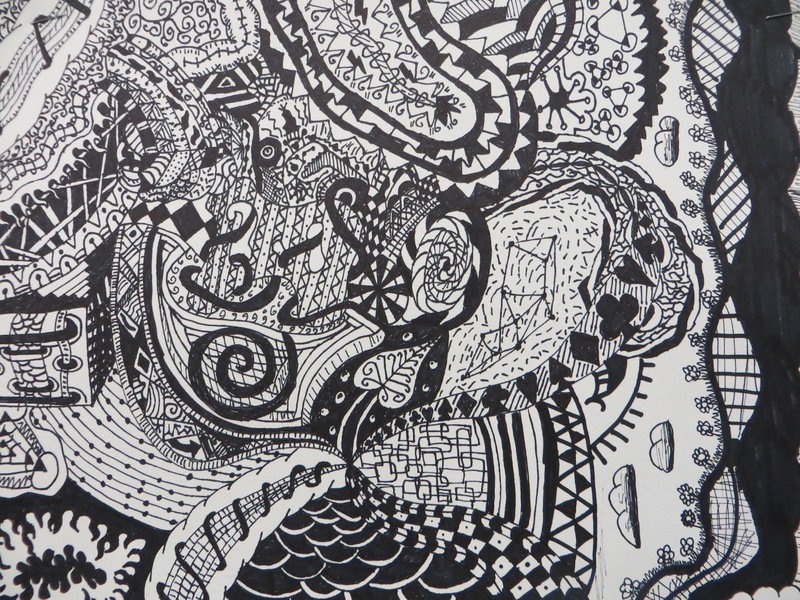 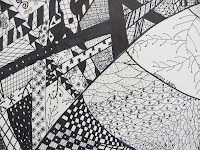 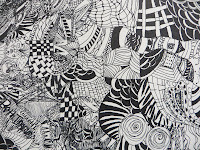 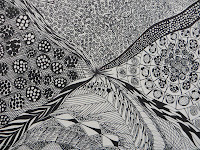 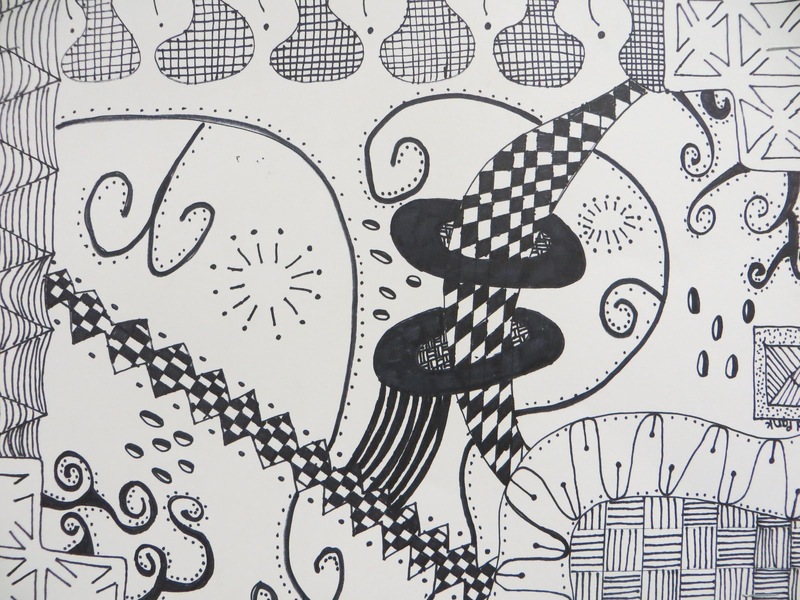 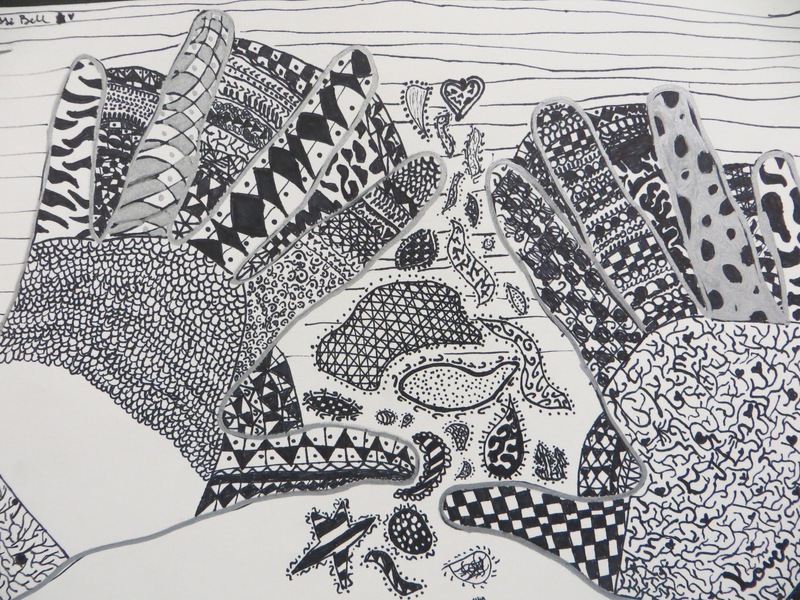 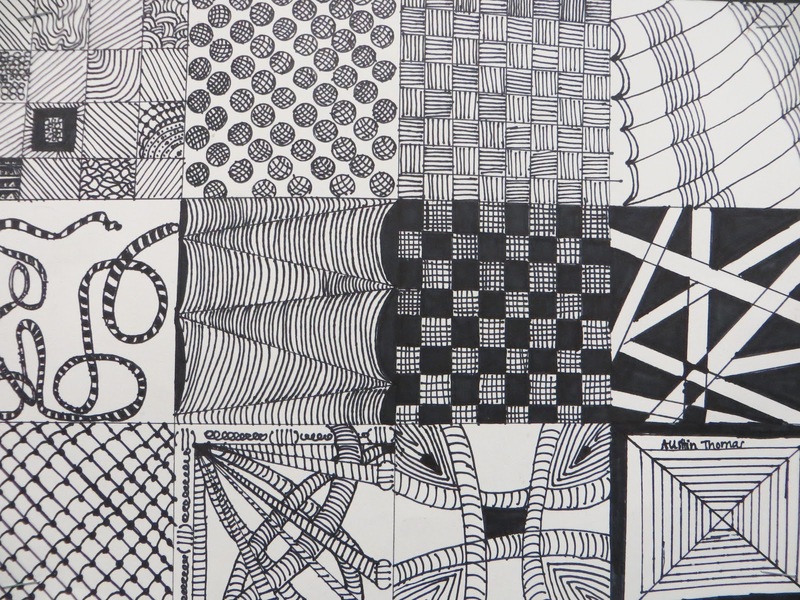 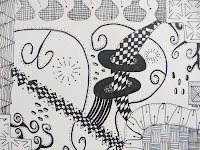 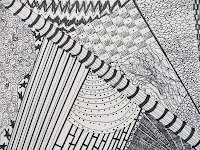 The 8th graders worked for days on the zentangles... they are wonderful, peaceful drawings that let your mind relax. 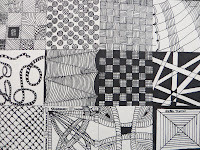 The students begged to work on them for almost an entire week. 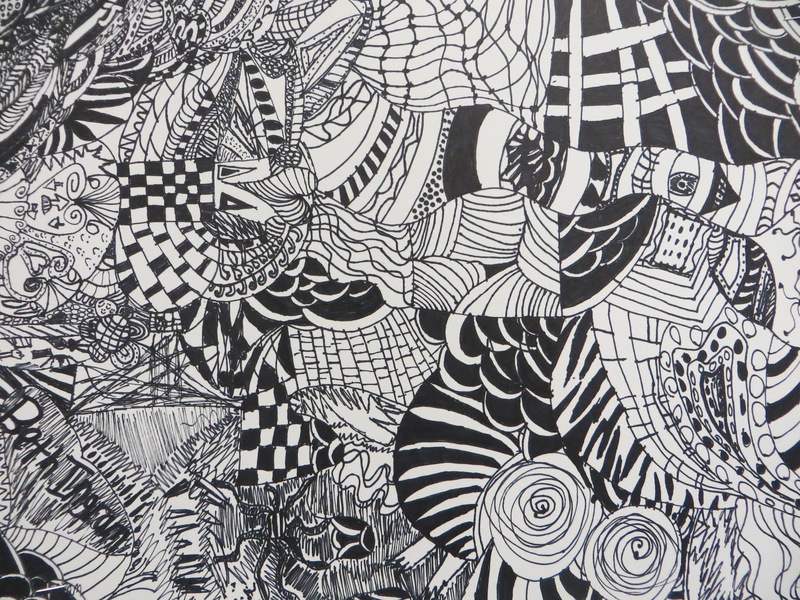 They all were focused on what they were creating.